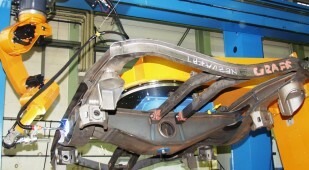 Many of the modern 4-axes goods wagons on two-axis Y bogies travel on rails all over Europe. Container wagons, wagons to transport coils, tanks and gas containers etc., almost everything travels on Y bogies. The automation of the welding processes considerably reduces the production times. 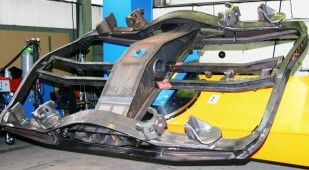 At the same time high-quality weld seams are achieved. 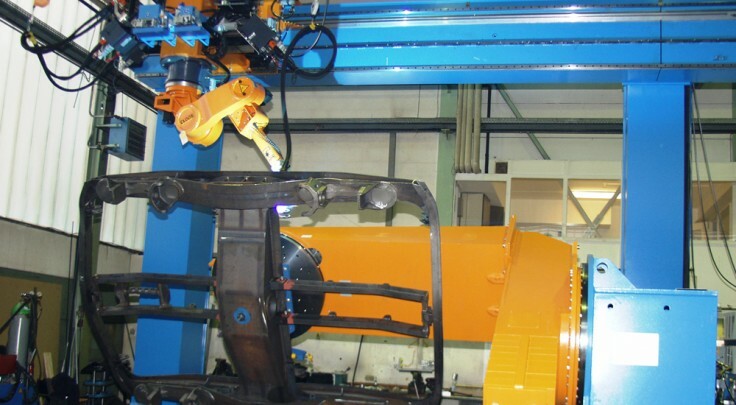 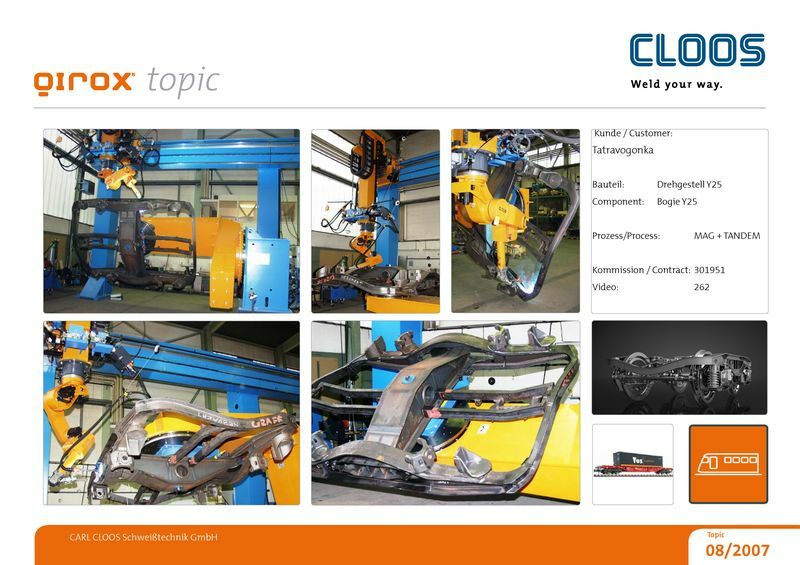 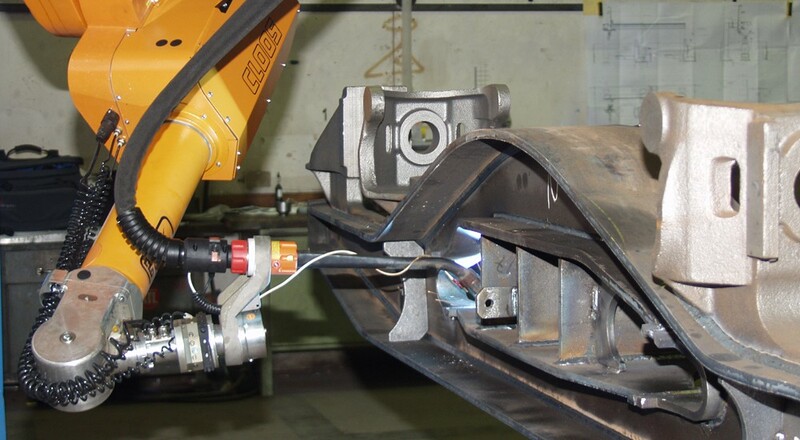 The two-station robot system always swivels and turns the bogie frame into a perfect welding position. 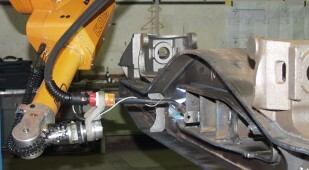 An overhead-mounted linear track with vertical stroke enlarges the robot working range and allows the change between the two welding stations.